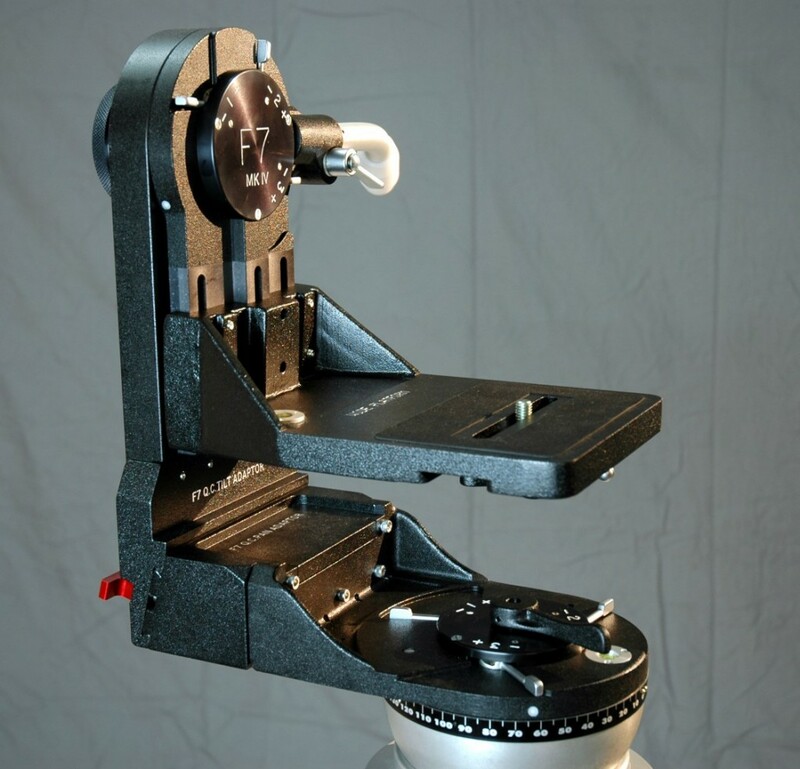 The Ronford-Baker Fluid 7 3 AXIS Head is designed for use with film or video cameras up to 25KG. The three fluid units are controlled through seven stages. All three axes are continuous through 360 degrees. 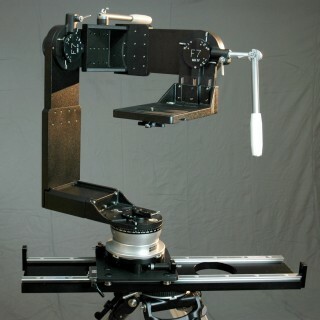 The head can be adjusted to the cameras centre of gravity. 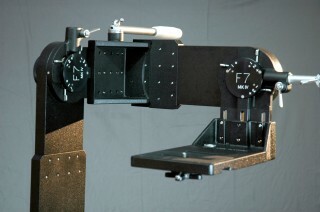 This unit, with the addition of one angle bracket, is built up from standard F7 head components.